We had been invited to try out the a-la-carte menu items at Cayenne. On entering the hotel lobby, we could not but appreciate the exquisite décor. 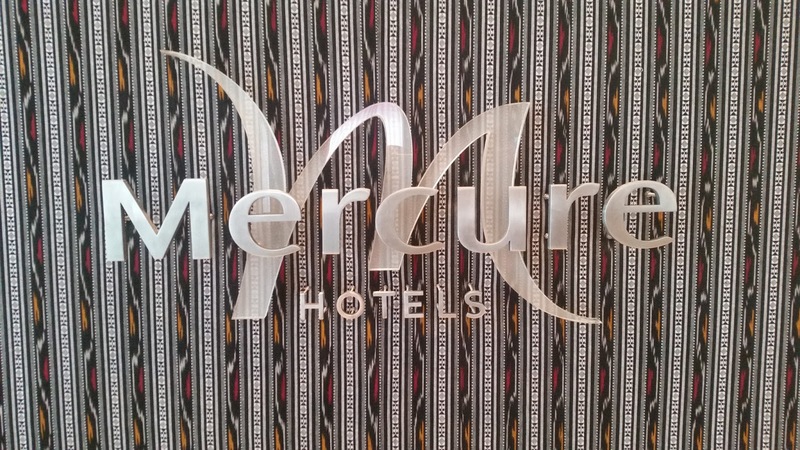 Immediately on our right was the Mercure brand wall, where the logo was elegantly mounted on a Pochampally cloth. Slightly ahead near the Macaroon deli was a wall mounted design of metallic mirrors from Aranmula in Kerala. Cayenne, the restaurant on the second floor, has a very nice and open look with a glass partition on one side giving us a grand view of the busy crossing at Erramanzil. A sumptuous buffet was laid out on one side of the restaurant. I noticed a live pasta counter as part of the buffet. The lunch buffet is priced at Rs 599 (plus taxes) whereas the dinner buffet is at Rs 799 (plus taxes). I made a mental note to try out the buffet in near future, but right now our focus was on the items of the a-la-carte menu. 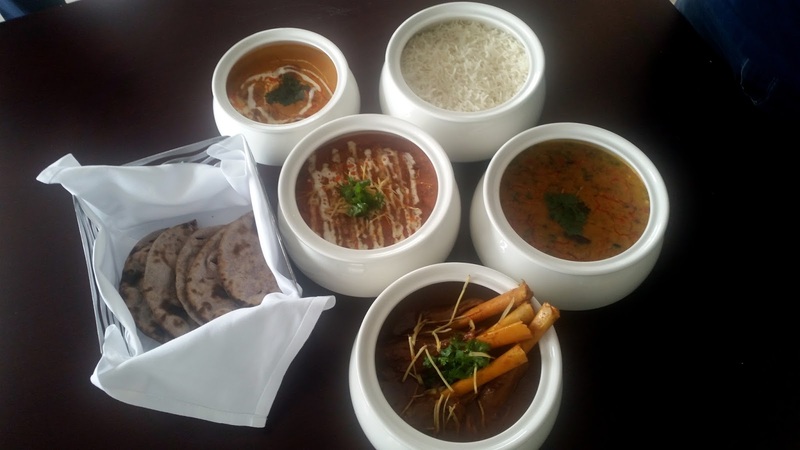 Executive Chef Vinay is very enthusiastic about his food and has wide experience catering to the taste buds of clients in India as well as the Middle-East. He has created a menu which blends contemporary and Indian cuisine, with some very interesting innovations. We had tasting sessions spilling over into two days, as the lists of showcased items were long, and we did not want to miss out on any. 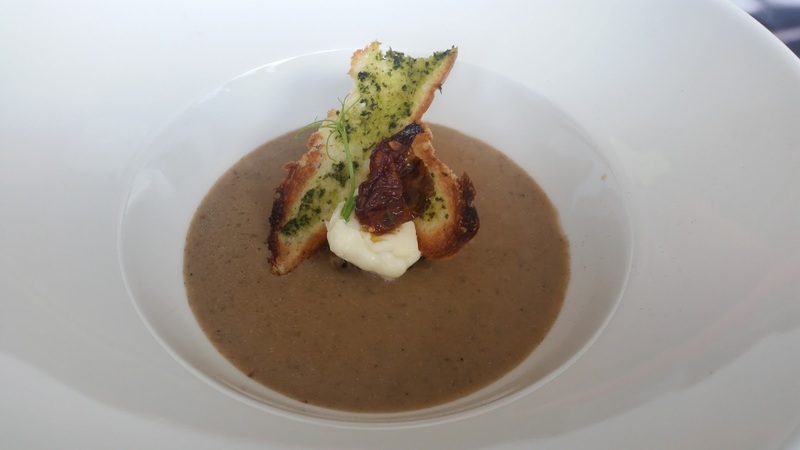 On the first day, we started with the Wild Mushroom Soup. The soup had an enticing presentation and was poured into the soup plate right in front of our eyes. This visual treat seems to be the norm in Cayenne with many of the soups and shorbas. The soup was creamy and flavourful, setting the stage for the starters. Smoke Infused Kabab Platter, a set of three non-vegetarian kababs followed soon. 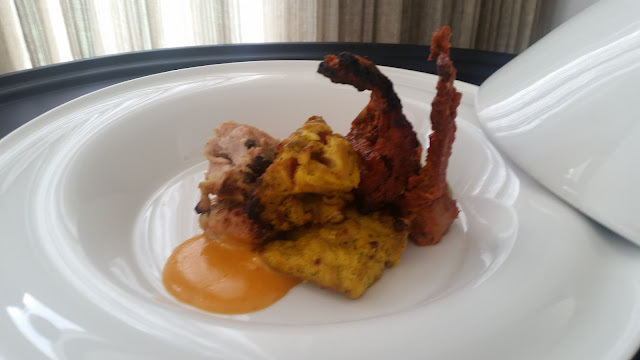 Malai Chicken, Sarson Macchi and Tandoori Lamb Chops were the three kababs served. I am a fan of mustard based marinades, and absolutely loved the fish preparation in mustard oil. The lamb chops were done to perfection too. 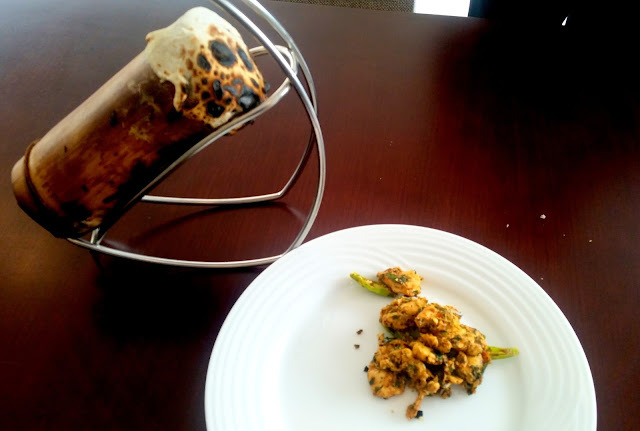 The platter was followed Tawa Ke Jhinge, a prawn preparation in a masala of black pepper and green chillies. The prawns were soft and succulent and had absorbed the spices well resulting in a blockbuster. 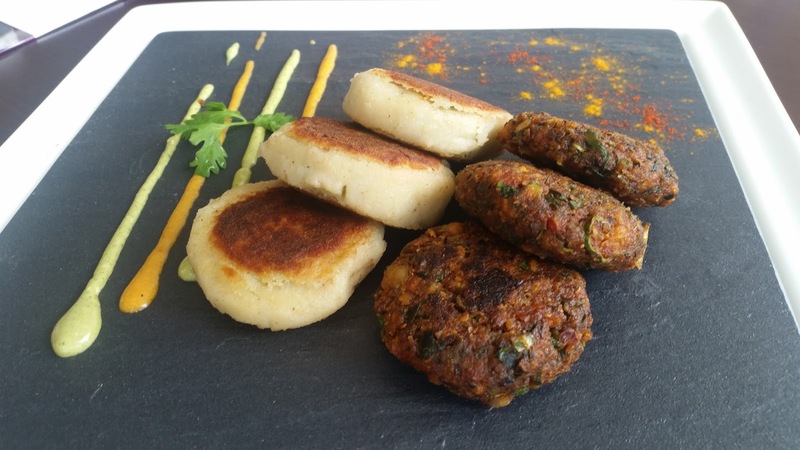 Chowk Ki Tikki, a potato based starter stuffed with green peas was lapped up by the vegetarians diners. The highlight of the main courses served was the Nalli Nihari. It was perfect with some Ragi Rotis served with it. The Duvvari Murgh Masala was not too spicy with a strong makhani flavour. I was almost full by now and tried a little bit of the garlic infused Dal Tadka. The dessert was Caramel Cake with Raspberry. The cake was topped with two domes of melt-in-mouth chocolates and fresh raspberry. It was a brilliant presentation, and the taste justified its looks. While wrapping up the first session, Mr. Janardhan, Director F&B mentioned that Cayenne serves the famed Bongulo Chicken of Araku Valley. This dish is a particular favorite of mine, and I was looking forward to trying it in the second tasting session, which would mostly focus on dishes from South India. This session again started with a bang. 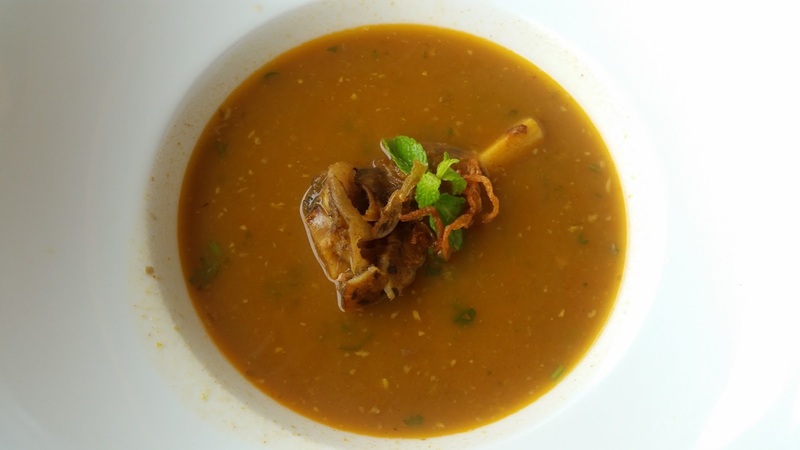 Paya Shorba was served much the same way as the Mushroom Soup we tried the last time. 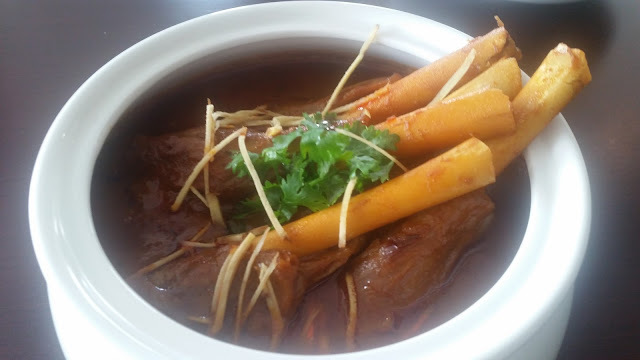 The runny lamb trotter soup also had small chunks of boneless meat in it, and the aroma of the masala combination used was extremely inviting. Someone suggested that the restaurant should serve a roti naan with it for enjoying it even better. I had heard about the taste of Kup Kabab from the friend, and this was the next dish to be served. The kabab was served in an earthen pot sealed by a layer of atta. Inside was soft minced chicken with select spices which had sucked in the flavours from the kullad. 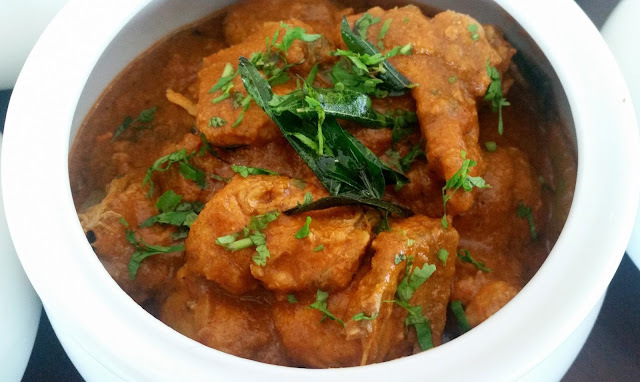 An absolutely delicious dish which is a must try here. The signature dish of the restaurant Bamboo Chicken was presented in a bamboo stalk. The open side of the stalk was sealed with atta to preserve the flavours. 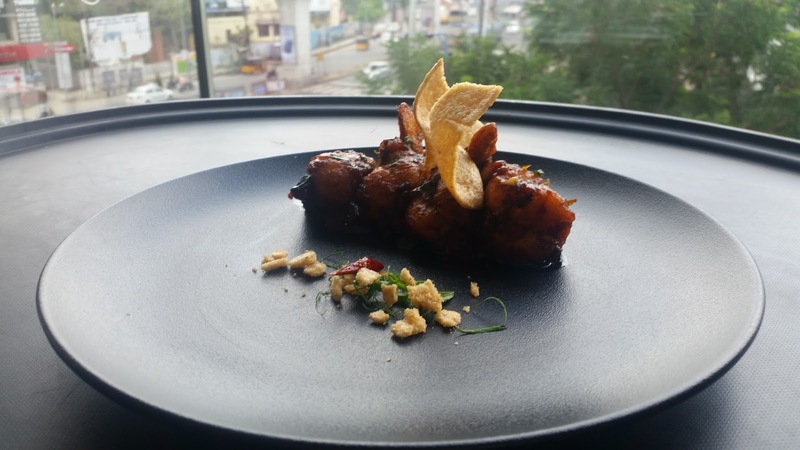 The recipe has chicken cooked inside the bamboo using minimal oil and the chef has tried to make the preparation as authentic as found in the Araku Valley. 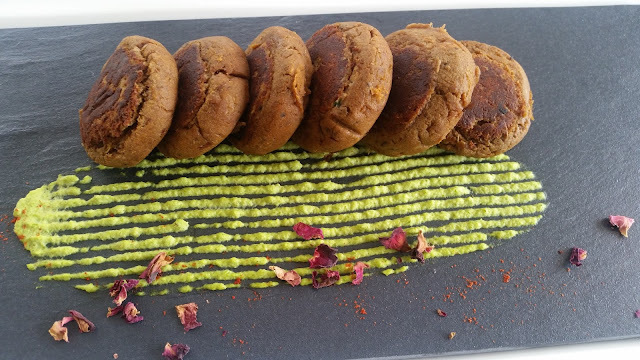 Chef Vinay was on a roll today, and the Shammi Kabab he served next was completely melt-in-the- mouth. I loved the fact that the smooth kabab was not greasy at all and had used the right amount of spices. 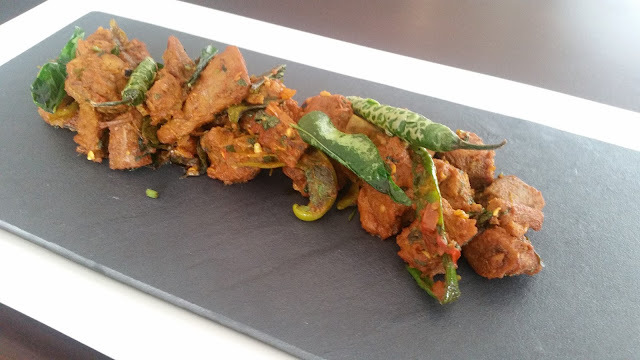 We also tried Venchina Mamsam, a dry Telugu preparation of boneless lamb with roasted masala and chillies. I would have loved the lamb to be slightly softer and a bit more of masala in it. Today’s main courses had Pappu, Kodi Kura, Royyala Vepudu and Gongura Mamsam. I first had some steamed rice with ghee and podis served with them, and later added a portion of pappu to it. The Gongura Mamsam was prepared well, and I could not resist a repeat helping of the tangy gravy with rice. 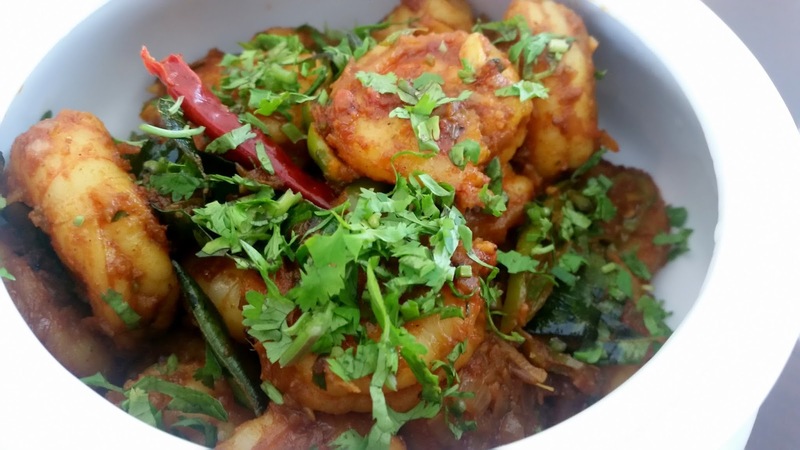 The spices in the prawn vepudu were well balanced, and like the previous day the prawns were of the right texture, neither too soft nor rubbery. 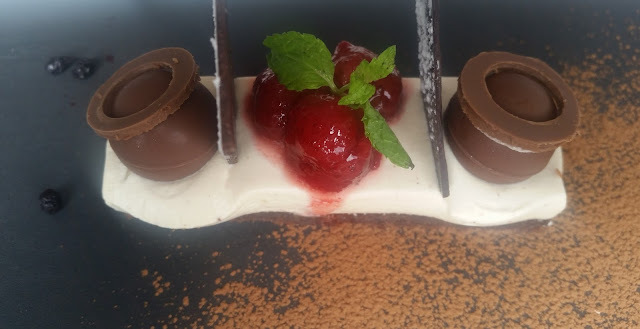 The dessert of the day was a contemporary take on Purnam. The sweet filling of the traditional Telugu sweet was used as the base here, with small rice flour balls on top. 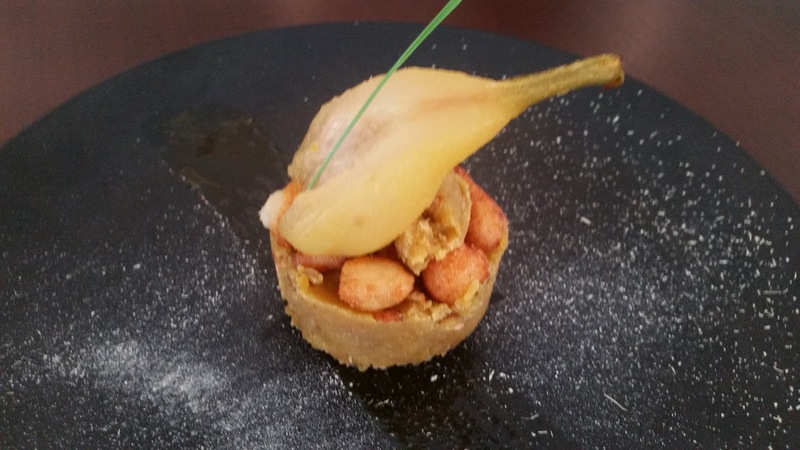 It was tastefully garnished by a poached pear. Chef Vinay has a very talented team and they got most of the dishes to do the talking about their skills. 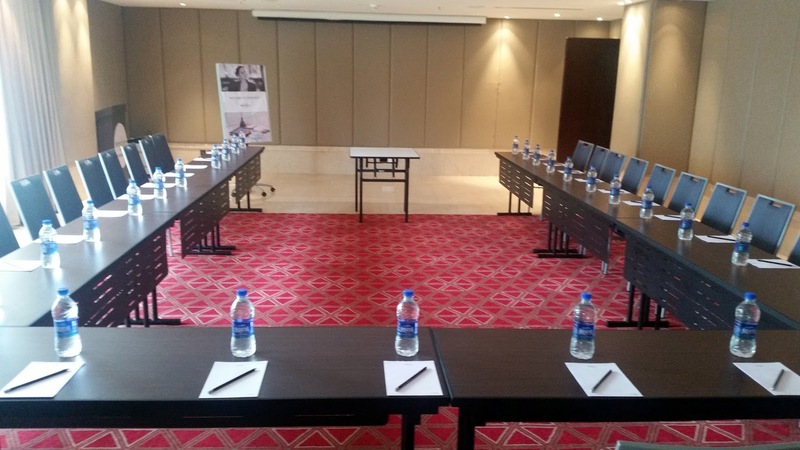 We also had a tour of the banquet and room facilities of the hotel. 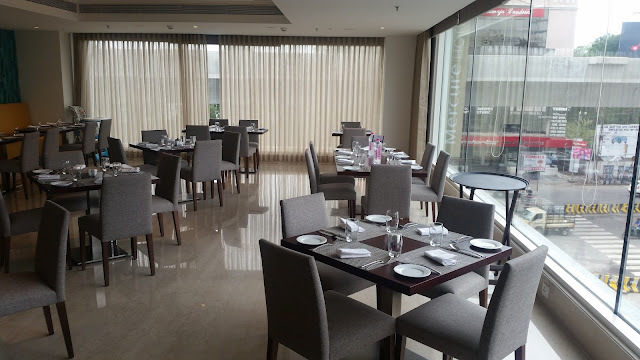 There are three banquet halls on the first floor with glass partitions overlooking the busy Panjagutta area. 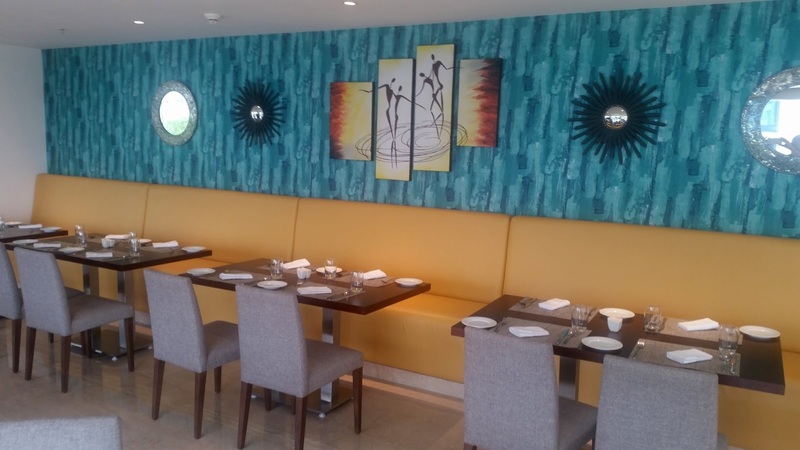 Two paintings of MF Husain adorn the walls. 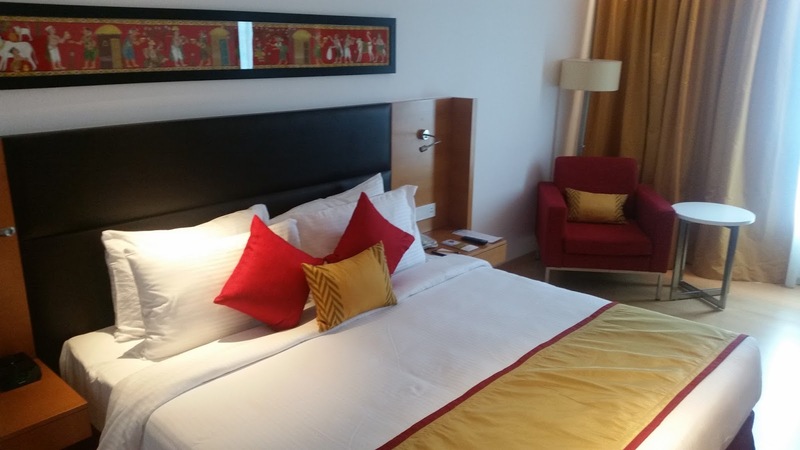 There are quite a few categories of rooms, starting from deluxe to superior to suites. 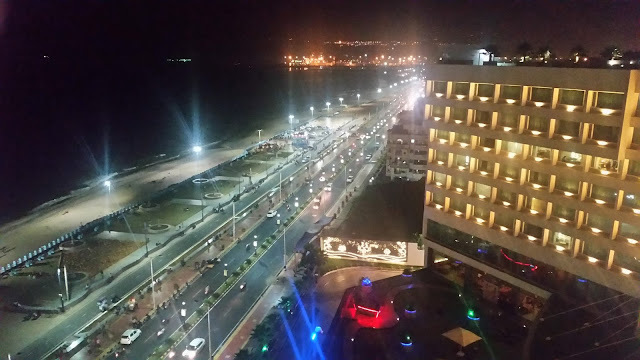 Some of the rooms on the higher floors have a nice view of the Hussain Sagar Lake. In every room, there are Cherial paintings from Telangana adorning the headboard. Rooms are priced upwards of Rs. 5000. 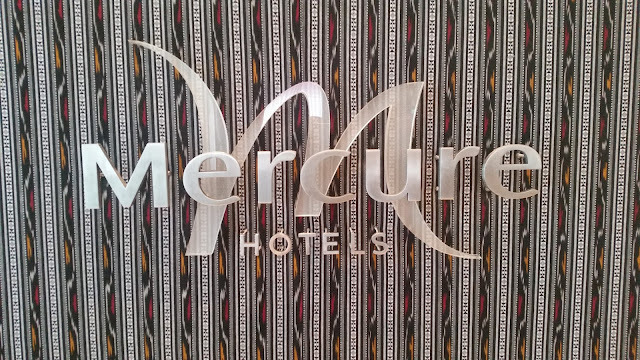 Overall, a hotel with a great location, ethnic décor, helpful staff and for a food lover like me some awesome food.